Discussion in 'Acronis True Image Product Line' started by CorkyG, Jun 23, 2008. I had problems cloning a 120 GB ATA/EIDE Seagate drive to a250 GB ATA/EIDE Seagate drive. TI-11 would always indicate a good copy. The result was not bootable. XP Pro would pass the blue boxes 30+ times, then reboot. Afterwards, I tried to a 160 GB WDC drive. No problem at all. Today, I cloned the 160 GB drive to a 200 GB Maxtor. Perfect success. I then tried the 200GB to the 250 GB and it was the same old story. Here is the graphic layout of the finished product on the 200 GB Maxtor. The drive has one partition as shown. I'm not at all sure as to what the problem is - but it is the only cloning problem I have faced in over a decade. This forum is really focused on backup/restore and not cloning. They are very different. Really odd that it should happen on both of the 250s, and not on the smaller drives. Can you do a quick OS install on one of them and then try to clone it to the other 250? ...Here is the graphic layout of the finished product on the 200 GB Maxtor. The drive has one partition as shown. Another PerfectDisk user! I see two partitions in your photo (or is it two disks)? If I remember your original thread there were some questions about how your PC BIOS handles LBA translation. Do you have more than one PC to try this on? If so, are the results the same? I did that two weeks ago. Ran a repair install also. That created a host of program problems. My next experiment will be to get a WDC 250GB and see if that is any different. All these things take an inordinate amount of time. I can stand pat for quite a while with the 200s - but it's just that I don't like to be hosed by some unknown facet. The reboot is prefraced by a quick flash of a BSOD - and I froze that and did see that the problem might be an outdated Promise RAID drive for the data drive. But - it has not problem except with the 250s. If you're slightly adventurous, you could try to see if there is an updated driver for your Promise RAID -- I'd check with the card/board manufacturer. Sometimes driver updates take care of these kinds of probs. anyway, updating the driver is unlikely to cause a problem in itself. I second this recommendation. What if your current, outdated RAID driver contains a bug that only affects larger hard disks? I have gone through the Promise driver update several times. It has no effet. Yes - that is a PerfectDisk image - it is one hard drive with two partitions, C & D. Those are two separate images combined into one .jpg file. The LBA possibility was dispatched weeks ago. All drives are UDMA 5, and all have no problems with LBA. I can use the guilty 250 GB drives as data drives - no problem there. There is a big difference in backup and cloning with respect to user operations. Backup requires Restore. Cloning is a bit-by-bit copy of a drive. Backup has to be placed somewhere. Cloning is direct fromn source to target. Yes - both are imaging processes. Cloning does not have any effect on drive letters. Those are assigned by the OS on boot. As a result, cloned drive letters are always the same as the source letters were. As of right now - I consider the case closed except for a possible try of a different brand 250 GB - probably a WDC. It's a drive letter problem. your probably checking the "mounted device" drive letter. (that always remains the same). Check the "partition ID" drive letter (aka partition signature), more than likely that won't match your "mounted device" drive letter. I've encountered this problem often enough to recognize it. All your symptoms point to a "drive letter" problem. It's a quick check to do. That makes no sense to me at all. A cloned drive is a bit by bit copy - the drive letters in the partition ID are not changed. If it is a drive letter problem, then why does it not appear in any of the hundreds of cloning jobs I do regularly? I clone at least 3 drives a week. I never clone from within Windows. Always use the TI Rescue Media. Nevertheless, I will take a look at that software. Thanks! A cloned drive isn't a bit for bit copy; only sectors in use are copied from one drive to the other -- time isn't wasted copying empty sectors. The diff between a clone and making an image is that with clonigng, ATI puts the bits on the target in a layout accrding to file system rules. 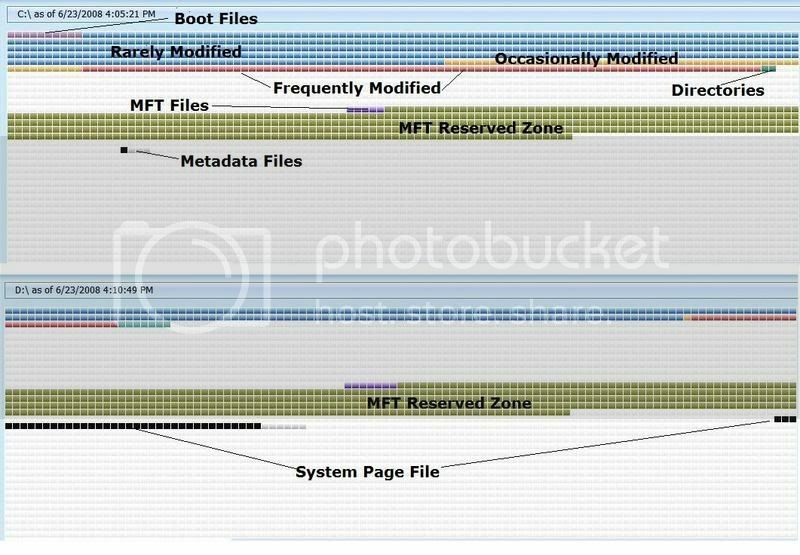 When doing an image, ATI stuffs the bits into a single file from which it can, during a restore, lay out the bits onto a drive according to file system rules. time isn't wasted copying empty sectors. But I'll bet time will be wasted looking for a drive letter problem as suggested in a previous post. Maybe some of you have a better suggestion on what is causing the problem. I provided a possible cause of the problem, I've seen similar symptoms and it has always been "drive letter" related. If I was telling everybody to "read the guide on proper technique" or do a "clean install of windows xp" as a troubleshooting, then I would be providing bad advice. No time is wasted checking a "drive letter" problem, it takes less than 5 minutes and the results are very accurate. Time is wasted when you dismiss the obvious and start checking everything else but the "drive letters" (because everyone else says it can't be the drive letters). If it is not a "drive letter" problem, then it is definitely a "cold case" because everything else has been checked. But I think you are on the right track in thinking that a "sector by sector" clone will result in a bootable restored drive. That was the only way the other previous "unfixable" clone problem was fixed. Do you use FAT32 or NTFS partitions? Oh well, everyone is trying to help in their own way. Have you checked for a BIOS update on this machine. This is the sort of thing that BIOS updates catch because the large hard drive may not have been tested with this BIOS initially. It is a weird one though. If a WD 250 works, it will be spectacularly weird. I only use NTFS and I only do image backups, I never do clones. I also never backup or restore the MBR (I rather deal with a simple drive letter problem than wind up with a hard drive with unallocated space). None of my hard drives are dual boots or have boot managers or RAIDs, but all of them have 2 or 3 partitions. My restored hard drives are also multi-partition. I have a basic simple configuration that should backup and restore with no problems. I've also encountered "drive letter" problems using "easy-image" , so that to me proves that "drive letter" problems are more of a "windows xp" type problem than "imaging software induce". I used to do clones, but never had any success with them booting up (not even one successful restore). Back then I didn't have the knowledge of "drive letters", but now I suspect that was what was causing my "restored clone drive" from booting up. All the symptoms encountered by CorkyG are very similar to the problems that I was also unable to fix (I also suspected bad hard drives) , in my case from lack of knowledge that I didn't possess back then. The C: drive is not my WinXP partition. Why do you think my WinXP is not C: drive? Is this a drive letter issue? On step 4, it will show all your partitions on that hard drive. If you have 3 partitions, pick the one that you know has your system on it. If you pick the wrong one, the next screen won't show any windows directorys. If you installed windows on E:and know for a fact that it is suppose to be E:, and savepart shows "C" as your "mounted devices" ,than you know that is your problem. Savepart is very accurate from all the tests that I ran. My point is there are no drive letters on the step 4 window for NTFS partitions. I have one FAT32 partition and it is assigned C: drive in that window because SavePart is a DOS program. So my WinXP which calls itself C: drive when booted is not C: drive in SavePart. Now that could confuse someone who thinks he may have a drive letter problem.